The new DK Nature Guides form a comprehensive, accessible, and informative series of illustrated reference books that tackle key natural history subjects in DK's uniquely visual style. 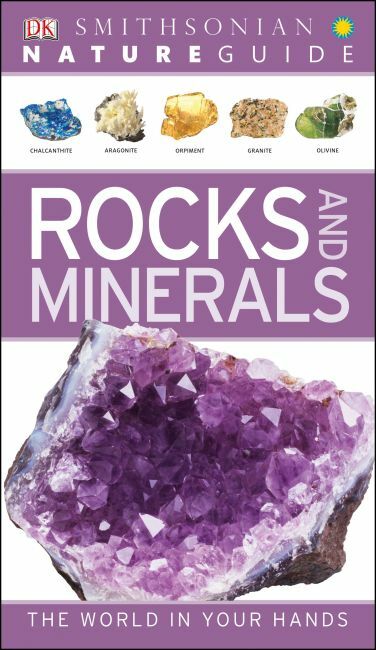 Produced in collaboration with expert consultants at the Smithsonian Institution, each guide is expertly written and will give you knowledge of the natural world at your fingertips.From blue schist to blue granite, malachite to meteorites, and taconite to travertine, Nature Guide Rocks and Minerals is packed full of stunning images that reveal intricate details and unique characteristics of each rock and mineral. Using close-up photographs of every specimen and profiles containing examples from all over the world, Nature Guide Rocks and Minerals brings revealing key facets and details perfect for quick identification.